I was on my side porch the other day, chilling, enjoying the breeze, and doing a bit of writing for work, when I looked through the trees over to my neighbor’s yard and saw a huge pink flamingo. Now I probably should clarify that through the trees was their pool. And that the pink flamingo was a float – the largest one I’d ever seen (and all I saw was the long neck, large head, and yellow and black beak). So what does that, in any way, have to do with leadership? Well, perhaps needless to say, the pink flamingo head popping up through the trees made me smile. Which made me realize that I probably hadn’t smiled for quite some time today. Which made me think of all the time I spend head down, focused on work (or life), not smiling, and of all the time my clients most likely do as well. And, as we’ve written before, smiling, enjoying, and even laughing are essential leadership tools. 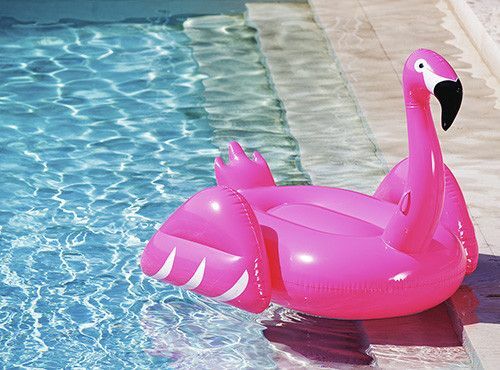 So, as summer is about to officially start, and the temperatures where I live begin to soar, I want to recognize that plastic pink flamingo float, and all other reminders of fun and instigators of giggling, guffawing, and smiling. There are many essential leadership skills, and bringing a sense of lightness to the teams and organizations (and families) we lead is certainly one of them. There are many important leadership tools, and pink flamingo floats seem to be one of them as well. Let’s challenge ourselves to celebrate summer, fun, and levity – and to bring a sense of laughter and play to our work (and our play). Let’s celebrate pink flamingo floats. How do you bring a sense of fun and play to your team? If you want more play – and pink flamingoes – contact Lisa at lkohn@chatsworthconsulting.com. Great Deirdre. Enjoy it. It still makes me laugh every time I see it.